Ever since the release of the NMD a few years ago, Adidas has done their best to remain innovative and continue to come out with new silhouettes that stay true to the NMD's aesthetics. The lifestyle shoe has undergone quite a few changes over the years and one of the models that have come out of those changes is the City Sock. While it may not be the most popular NMD model out there, its laceless high top design offers a pretty comfortable alternative to silhouettes like the R1 or XR1. Now, Adidas is revamping the City Sock by writing "NMD" along the sides in big bold block lettering. In many ways, the look is reminiscent of the Nike Air More Uptempo which has "AIR" written along the side in a similar fashion. The first colorway of this new reimagined City Sock is fairly toned down. 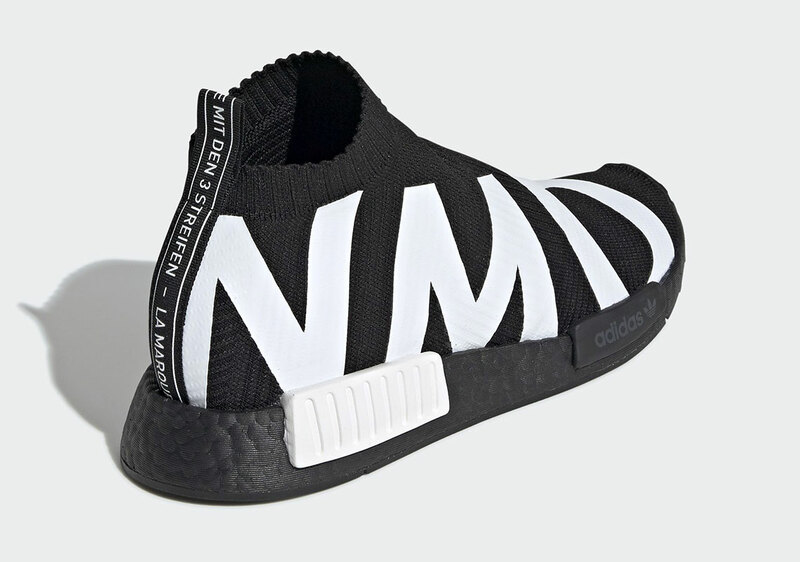 The upper is completely black, while the "NMD" lettering is in white. Meanwhile, the Boost midsole is black with one white and one black brick on the sides. As of right now, there is no release date for these, although it appears as though they will be dropping on adidas.com for $180 USD in the near future, according to Sneaker News.